Gregory Buck Kinnear was born on 17 June 1963, in Logansport, Indiana USA, to housewife Suzanne, and Edward Kinnear, a US State Department career diplomat . He is an actor and television personality, perhaps best known for his roles in the films “Sabrina”, “As Good as It Gets”, “You’ve Got Mail”, “We Were Soldiers”, “Nurse Betty” and “Little Miss Sunshine”, and in the television series “The Kennedys” and “Rake”. A famous actor, how rich is Greg Kinnear? Sources state that Kinnear has earned a net worth over $20 million, as of mid-2016, acquired during his acting career now spanning over 25 years. Kinnear’s family frequently moved during his childhood years; he attended the American Community Schools in Athens, where he hosted the radio talk show called “School Daze With Greg Kinnear”. Upon returning to the USA, he enrolled at the University of Arizona in Tucson, graduating with a degree in Broadcast Journalism in 1985. Coming to Los Angeles, Kinnear began working as a marketing assistant with Empire Entertainment, and also as an on-location reporter for MTV. He took bit parts in the television shows “Life Goes On” in 1989 and “L.A. Law” in 1991, then in 1990 he became the creator, co-executive producer and host of the television show “Best of the Worst”, which lasted until 1991. That year, E! Television hired him as the first host of its television show “Talk Soup”, which was Kinnear’s big Hollywood break, and which earned him an Emmy Award in 1994. 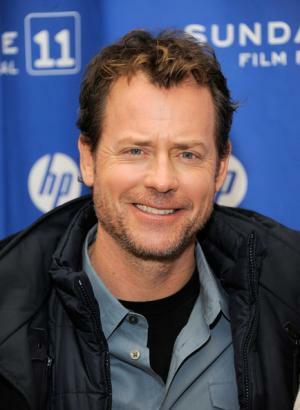 He left the show in 1995 to host another show, “Later with Greg Kinnear”, which he left in 1996 to focus on his rising acting career. However, his net worth was werll established. Kinnear made his film debut in the 1994 comedy-parody “Blankman”; the following year he was cast as David Larrabee in the remake of Billy Wilder’s classic “Sabrina”, and then took the lead role as Tom Turner in the 1996 comedy “Dear God”. In 1996 he was cast as gay painter Simon Bishop in the comedy-drama film “As Good as It Gets”, which earned him a nomination for the Academy Award for Best Supporting Actor. His net worth started to rise considerably. Several major film roles followed, including “A Smile Like Yours” in which Kinnear portrayed a husband Danny who tries to get a baby with his wife, and “You’ve Got Mail”, in which he played Meg Ryan character’s boyfriend Frank. Establishing himself as a recognized figure in the industry, Kinnear went on to take other successful roles, such as in the films “Mystery Men”, “Nurse Betty”, “Loser”, “The Gift” and “Someone Like You”. In 2002 he played then-Major Bruce P. Crandall in “We Were Soldiers”, and starred as actor Bob Crane in the film “Auto Focus”. He later starred in the 2005 black comedy film “The Matador” and in the 2006 Oscar-winning comedy-drama film “Little Miss Sunshine” and “Invincible”. His other significant film roles of the time were as a fast-food executive Don Anderson in the 2006 “Fast Food Nation”, as Bob Kearns in the 2008 “Flash of Genius” and as a smoothie shop owner Rob in the 2008 “Baby Mama”. He played Miley Cyrus character’s father in the 2010 film “The Last Song”, and also in 2010, he took the lead role of John F. Kennedy in the miniseries “The Kennedys”, and then in 2012 starred in the romantic comedy-drama film “Stuck in Love”. The actor also starred as Keegan Deane in the 2014 television series “Rake”. All contributed to his wealth. Kinnear’s most recent film appearances have been in the 2016 film “Little Men” and in the television film “Confirmation” of the same year. He is currently filming the drama “Some Kind of Different as Me” announced to be released in 2017. When talking about his personal life, Kinnear has been married to British glamour model Helen Labdon since 1999. The couple has three children. 1 [on undertaking the role of lawyer "Keegan Deane Joye" in Rake (2014)] I don't know that I'd necessarily want him to represent me in a court of law. I don't mean that as an indictment of the guy, because - without it seeming kitschy, without him being a lawyer 'with a heart of gold' - there are a lot of episodes where he learns nothing. He makes sizable mistakes, and he recognizes that. It's one of the things that makes him human, if not endearing exactly. It was that mix - his being brilliant, despite the self-destructive mechanisms in the rest of his life - that appealed to me. He's a mess. That absolute lack of need for others' approval is hugely attractive, especially if you're an actor. 2 I was born in Indiana. My father was with the State Department in Washington, D.C. We lived in Reston, Virginia, for about three years. And then he got his first diplomatic assignment, to the American Embassy in Beirut, Lebanon, in 1975, no less, which was the year that the war broke out. So we were there for about nine months. When we first got there it was great, and then it just gradually deteriorated and by the end of our time there I would wake up invariably to the sound of shelling and machine-gun fire. I was about 12 or 13. I'd be in a daze and just walk out to the living room, and there's my family, mom and dad, my brother, sitting there listening to the BBC radio broadcast, as the opera of machine-gun fire is going on around our house. It was just bizarre. We (eventually) got evacuated to Greece, and my dad was reassigned to the American Embassy in Athens. We were there for seven years, that's where I ended up finishing high school. 3 I'm pretty sure my getting cast in Sabrina (1995) was some sort of paperwork misshoveling over at Paramount. I know that, originally, Sydney Pollack was saying. "Who the hell is Greg Kinnear?" but some women said he should check me out, and he did. When they called me about meeting Sydney Pollack for Sabrina, I assumed it was a crank call. But he was great at putting me at ease. When he found out that I'm from Indiana, and he's also from Indiana, I guess I had it sewed up at that point. It's just the craziest piece of luck. 4 I'm just doing the best I can with what I have. There are certain physical limitations to being a WASPy-looking dude from Indiana, right? "Travis Bickle [from Taxi Driver (1976)] Part 2" probably ain't coming my way. So with the roles I get, as best as I can I try to see the cracks within the face and then magnify them in an interesting way. 5 [on his school days] I was always explaining why my term papers were never on time. I think that's where I got my acting training! 6 [on success in Hollywood] I'd like to believe as much of myself as possible is unaffected by the things that can get a little heady. Being from Indiana has its benefits. 7 Setting goals can blind you to opportunities. You might be trying to get to point C; when opportunity B comes, you don't even look at it because you're going straight to C. I've never had a clear road map. When things come along, I benefit. 2 Lived in Beirut, Lebanon for almost nine months in 1975 due to his father's position with the State Department. After fighting broke out in Lebanon, his father was reassigned to the American Embassy in Athens, Greece and the family remained there for seven years. 3 "Kinnear" is used as a verb meaning to surreptitiously photograph someone and was coined by Stephanie Pearl-McPhee (a.k.a., The Yarn Harlot, www.yarnharlot.ca/blog); published in an article in the New York Times, "All We Are Saying" (December 23, 2007). 4 13 June, 2006: He and wife Helen became the parents of a second girl, Audrey Mae. 5 Daughter Lily Kathryn Kinnear born September 12, 2003. 6 2001: He and wife Helen had a baby, but unfortunately it was stillborn. 7 Member of Alpha Tau Omega fraternity. 8 Lived in Greece for a time and can speak Greek. 9 1985: Attended the University of Arizona, where he graduated in Broadcast Journalism. House of Cards Final Season First Look: Are Diane Lane and Greg Kinnear Friends or Foes?